WordPress is a popular blogging software. It is available through a hosted blog on WordPress.com or it can be downloaded for private websites through WordPress.org. 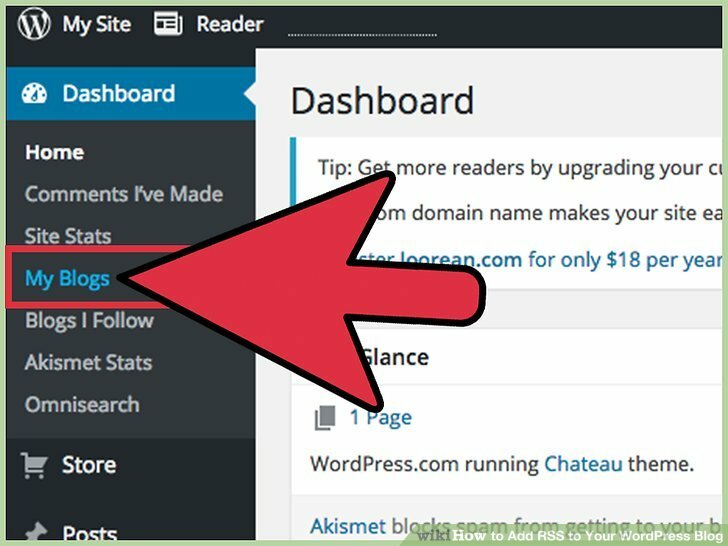 WordPress templates help users to connect with other social media sites through photos, links, feeds and plugins. 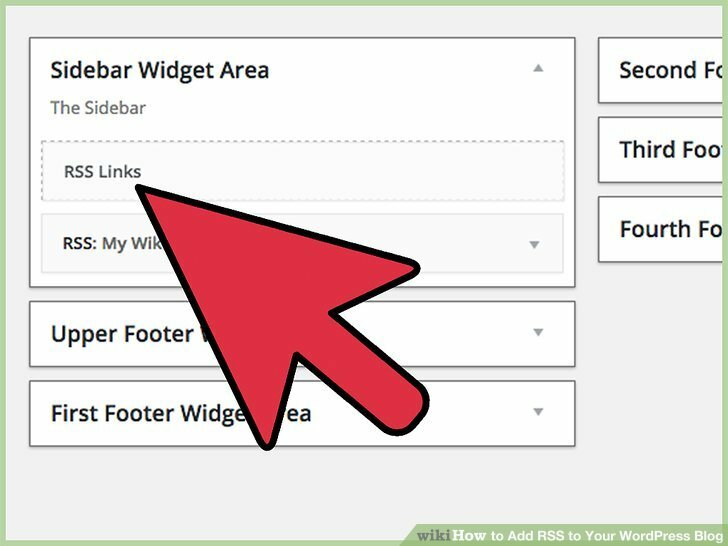 WordPress software includes a widget that allows you to add an RSS (Really Simple Syndication) feed from another website or social networking site on your blog. RSS feeds the latest status or blog updates from 1 site into another in a standardized form. 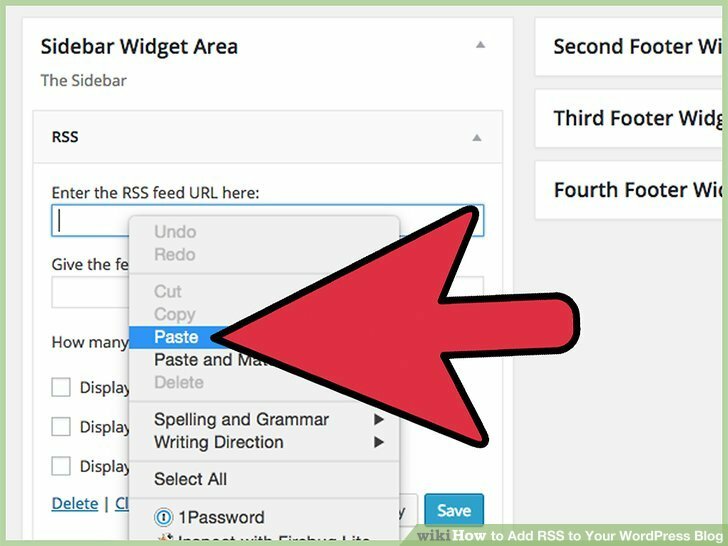 This article will teach you how to add RSS to your WordPress Blog. Go to the site that you want to feed into your WordPress blog. 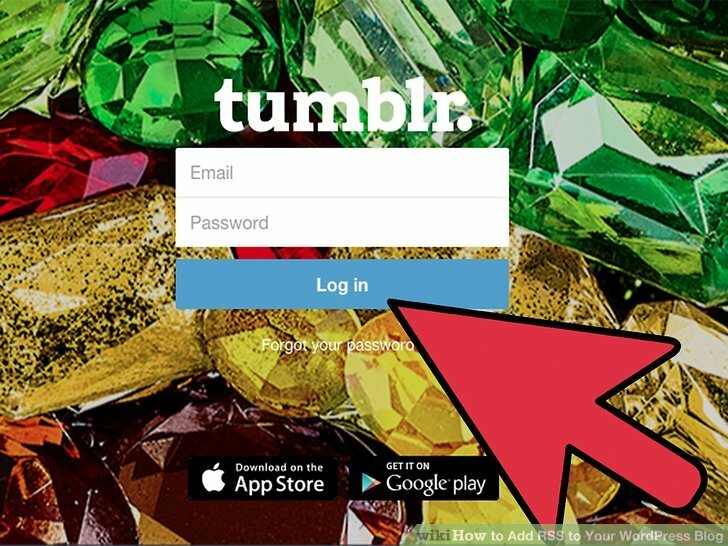 For example, if you want to have a Tumblr feed on your WordPress blog, you would sign into your Tumblr account. 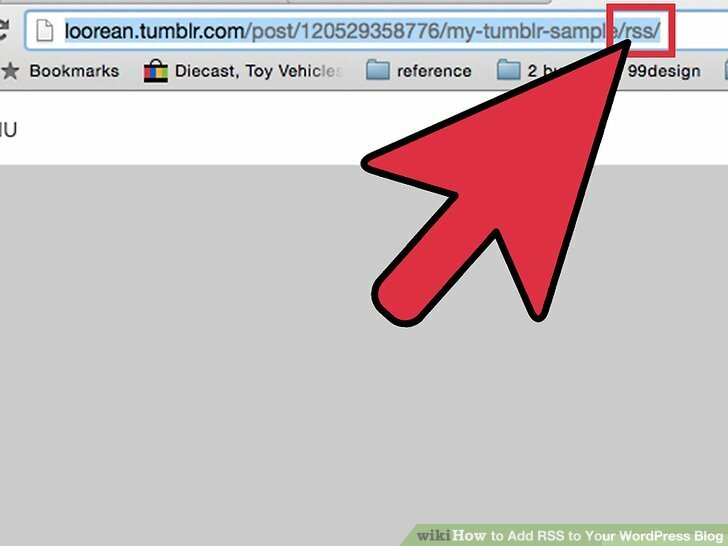 Copy the URL address on your site’s homepage. Open another tab on your Internet browser window. 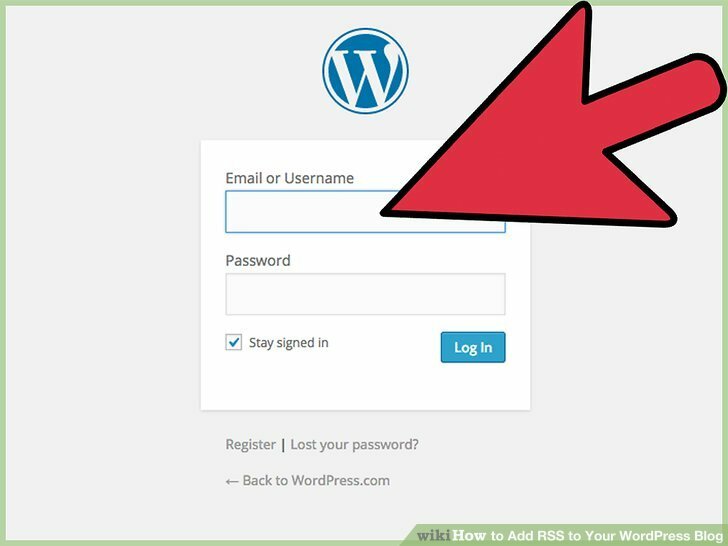 If you do not have a WordPress blog, go to the WordPress home page and click on the orange button that says “Get Started Here.” It will take you through the sign up process. Click on your name or profile on the right side of the tool bar at the top of the page. 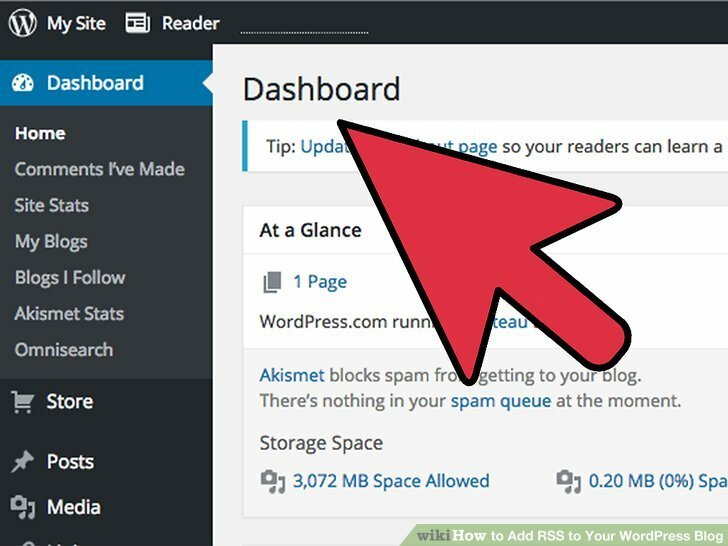 Scroll down your WordPress dashboard. Your dashboard is the vertical list on the left side of the page. 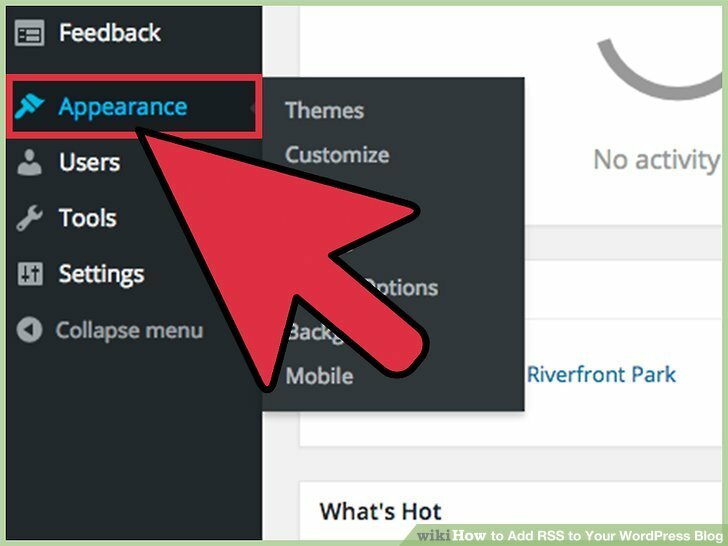 There should be a number of options underneath “Appearance.” If you do not see other options, click on the arrow on the Appearance tab. Click on “Widgets” in the Appearance menu. 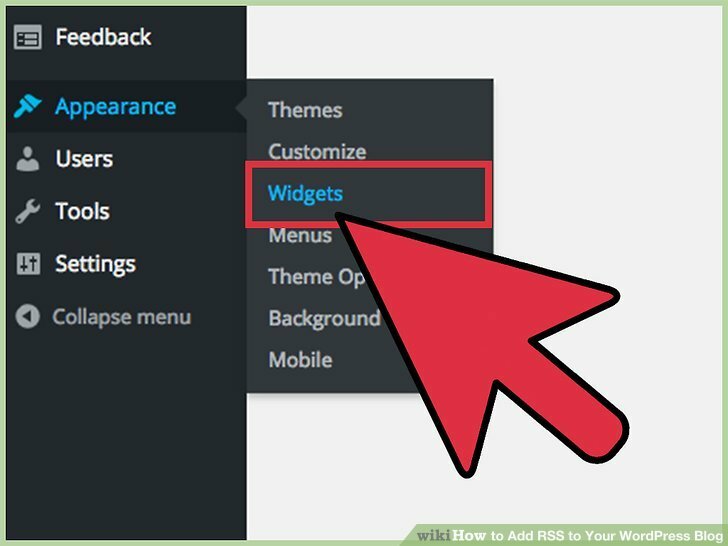 Find the “RSS” WordPress widget from the list in the top section or in the list of inactive widgets near the bottom. Click and slowly drag the RSS box to the “Sidebar” box on the upper right hand side of the page. 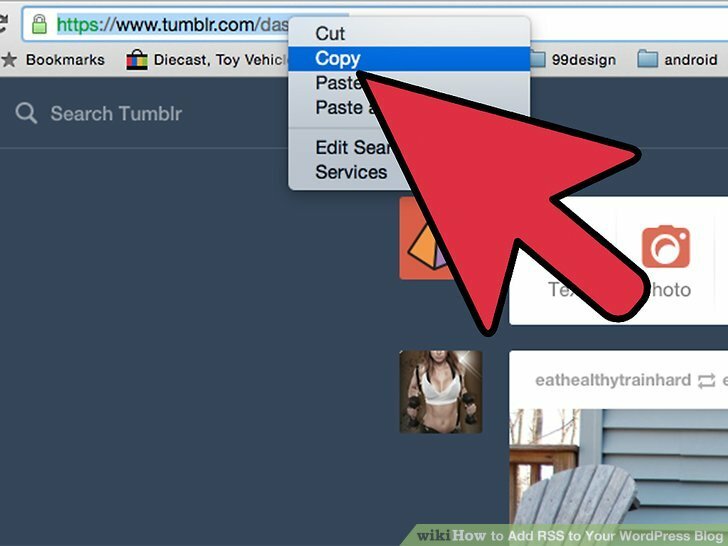 If you do not drag it slowly, your browser may not scroll up to the top right section of your browser page. 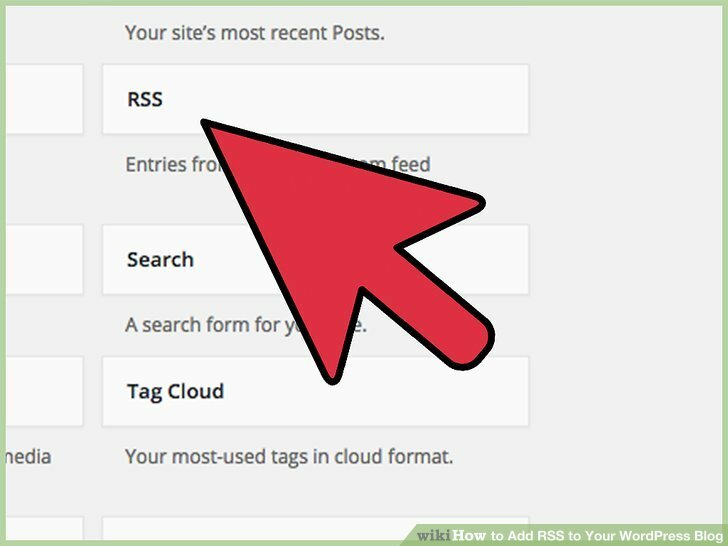 Paste your RSS feed address in the new RSS box that says “Enter the RSS feed URL here. ” Enter a title for your Tumblr feed. 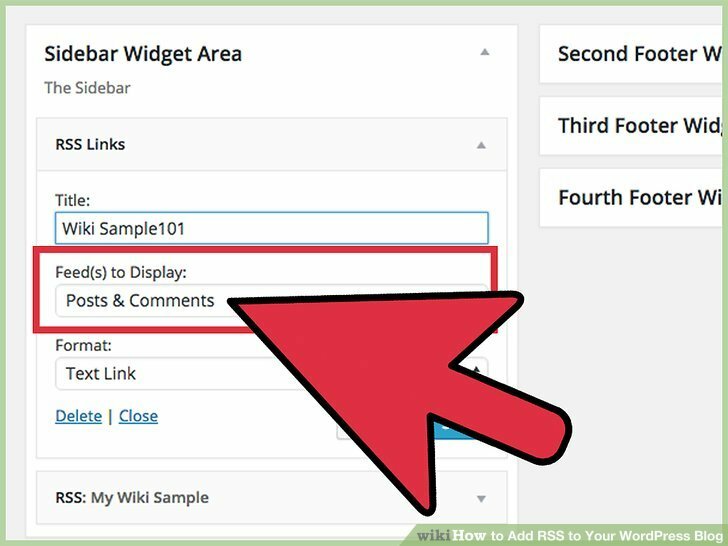 Specify how many posts you want to show, if you want to display content, the author or a link. Click the “Save” button. 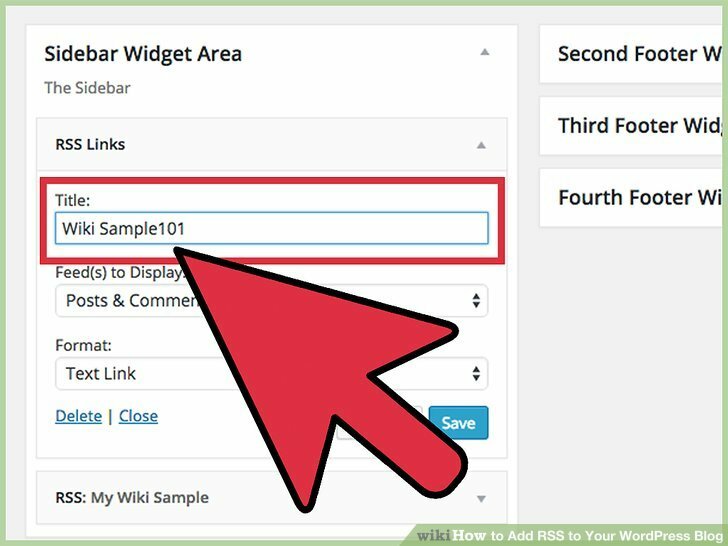 Go to your blog to view your new WordPress RSS feed. Click on “Widgets” again in the appearance menu. 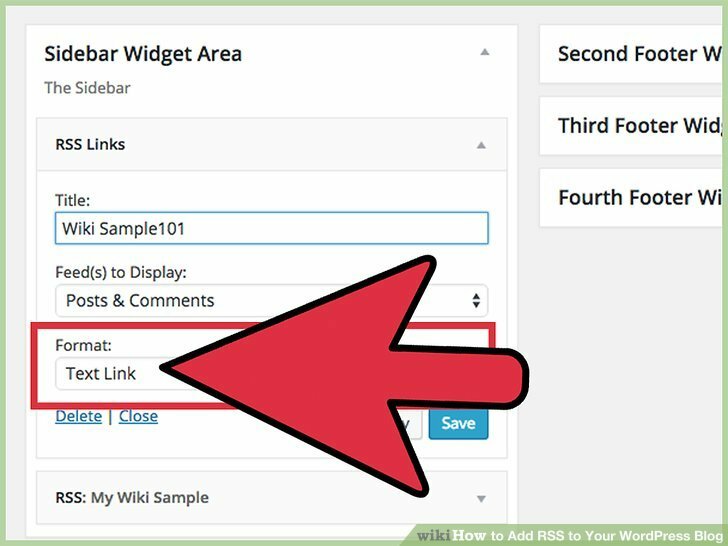 Find the “RSS Links” WordPress widget from the list of widgets. 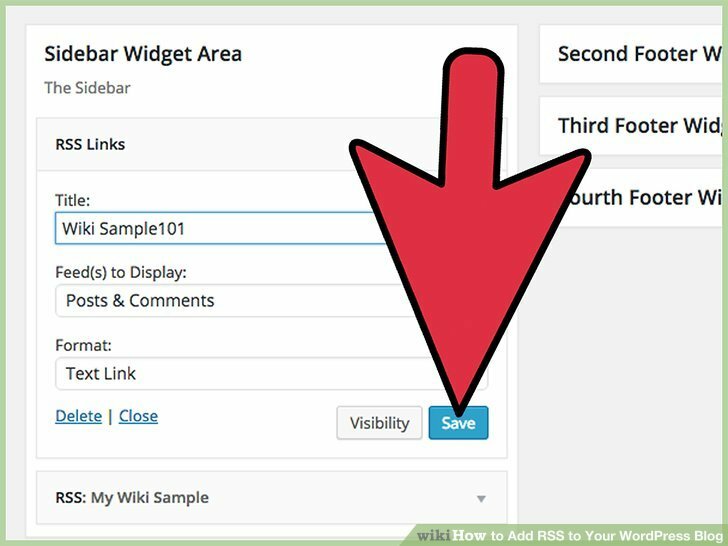 Click and drag the RSS Links box to the Sidebar box on the upper right hand side of the page. 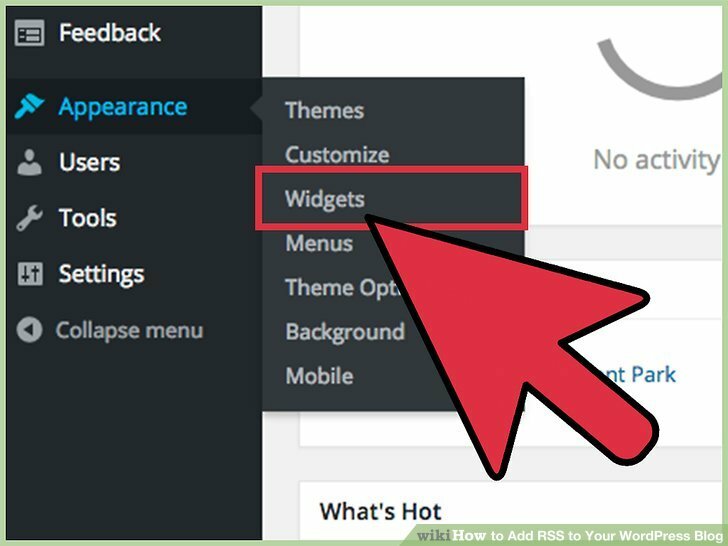 Choose if you want to display posts, comments or posts and comments in your RSS feed. 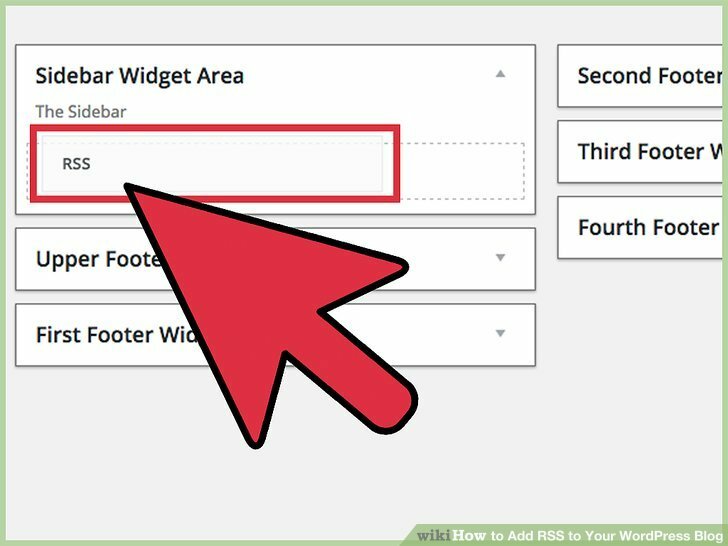 Select the format for your RSS. It can be text link, image link or a text and image link. 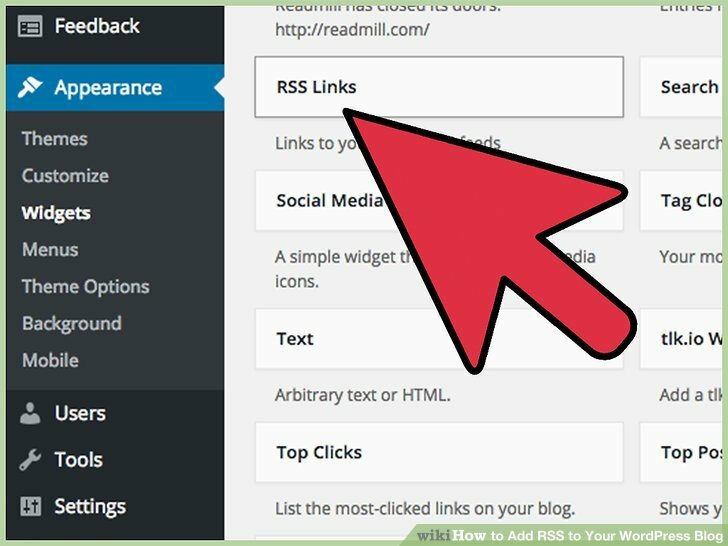 Click the Save button and return to your blog to see your RSS feed. 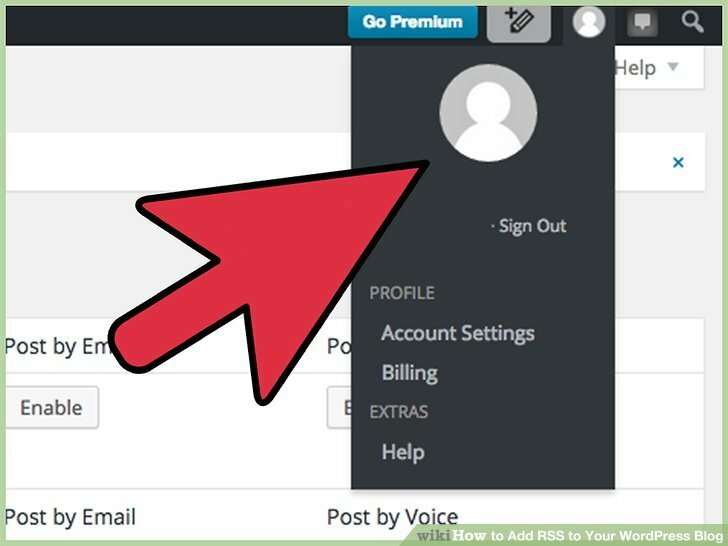 With this feature, subscribers can keep up to date on what you are doing and choose the posts they would like to read.